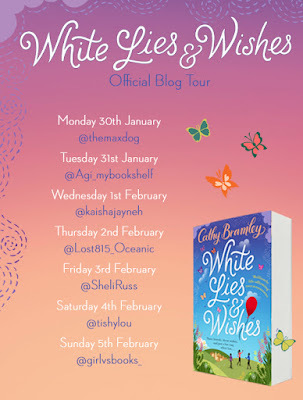 Today I'm thrilled to be taking part in the blog tour for Cathy Bramley's newest release, White Lies and Wishes. 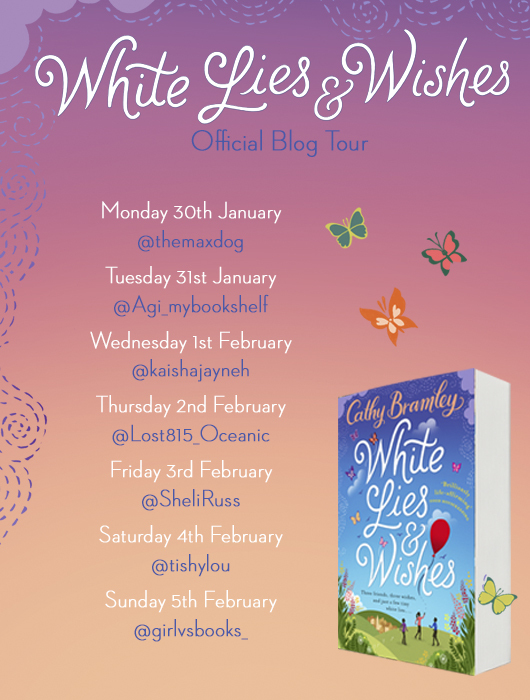 There are many Cathy Bramley books, but this is the first one I've had the pleasure to read, so I'm very happy to have had the chance to read and review this one. On the surface, White Lies and Wishes is a fun, lighthearted read, a sort of contemporary rom-com in bookish form. We follow our three main characters - Jo, Sarah and Carrie - as they go about the process of completing their wishes, becoming firm friends along the way. That all sounds rosy, but then as the story digs deeper we discover that each of the women is hiding something. In fact, none of them has been entirely truthful about their wishes or admitted what it is that they really want. Without giving away any spoilers, I actually find their true wishes to be a little sad. Each of their real wishes is a completely valid thing to want, and the sad thing is the fact that they feel they have to hide these wishes for one reason or another. It just makes you think - how many women are out there in the real world facing similar dilemmas? Despite that, it's an entertaining read, packed with plenty of humour. I loved how different the three women are, yet how well they work together as a team, really bringing out the best qualities in one another. They are interesting to read about, engaging, and you find yourself really rooting for them and wanting them to succeed and achieve their wishes. The plot is a little predictable, but then I suppose that's to be expected. This is the type of book you go into knowing there will be a happy ending, but when it comes you're happy all the same. I also loved the grounding and down-to-earth realities of the character's lives. 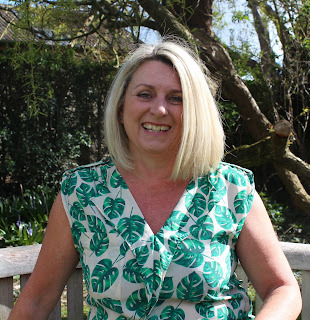 I'm from Northamptonshire myself, coming from a family in the shoe-making industry, so it was great from a personal perspective to read about Jo and Gold's. 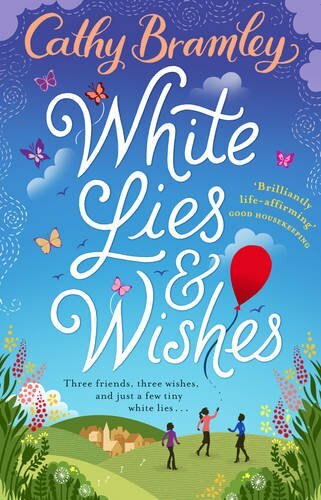 White Lies and Wishes is available to buy now.